We all need ‘get out of jail free’ recipes when out of the blue, a meal is sprung on us. For instance, when Simon and Julie drop in unannounced. 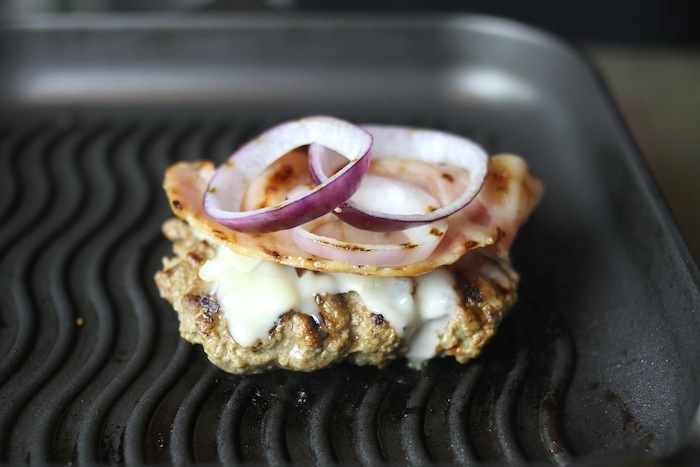 When we need to knock up a quick meal that appeals to all generations, hamburgers are the go. It’s really become quite fashionable for chefs to feature a creative expensive hamburger on their up-market menus to show off their skill and understanding of ingredients and combinations. Now you can do the same. Especially when the average fast food burger is total rubbish. The beauty of the recipe below is that the beef pattie is so good, you can put the standard iceberg lettuce, tomato and sauce on for people like… Don’t start me! But here’s a more creative take you might want to try. For four decently sized burgers. Very important first step with any pattie formation if you want it to hold together and not be too crumbly, really work in just the salt with your squeezing hands for a good few minutes. This causes a structural reaction with the proteins to form a more cohesive mix. Work in the relish only until it is evenly distributed and then shape into 4 patties. Make your hamburger as you wish. Here’s one of my versions, to compete with those show off chefs. Hope you have a large grill, if not do in batches and keep warm in a low oven. Mix the dill, olive oil, a generous pinch of black pepper and beetroot. Grill the patties and when you turn them, place cheese immediately on the hot, grilled surface while the other side cooks. At the same time put the bacon on the grill and toast your buns. 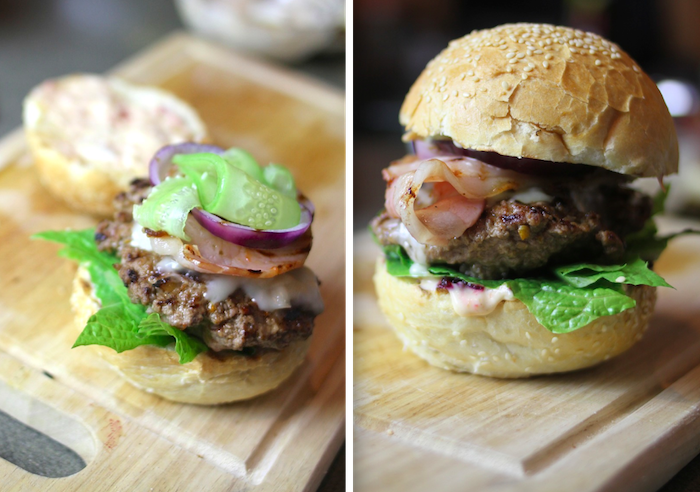 To assemble, spread the mayo mix over the top and bottom buns then build up: mayo, beetroot, lettuce, patty, bacon, onion, cucumber and finally, lid on.